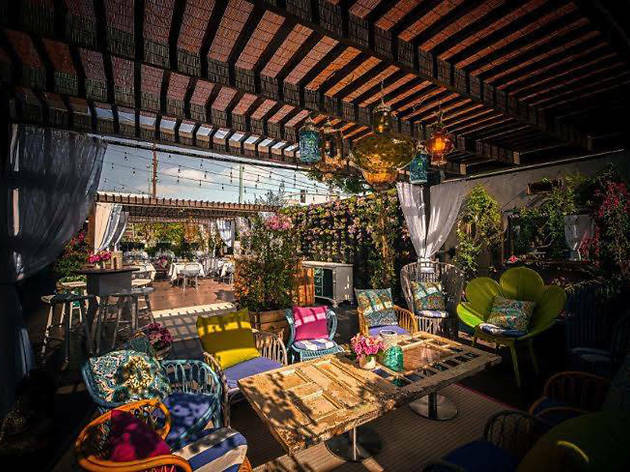 This chic, modern and earthy restaurant located in the luxurious Sofitel Beverly Hills is comprised of two colorful spaces: Le Jardin and The Aviary. Le Jardin channels a French garden patio, featuring an herb garden and fountains where diners can enjoy chef Victor Boroda's Mediterranean cuisine al fresco. The Aviary is a more private affair, where bird cages hang from above and cocktails are had at a private bar. Breakfast, brunch, lunch and dinner are available.